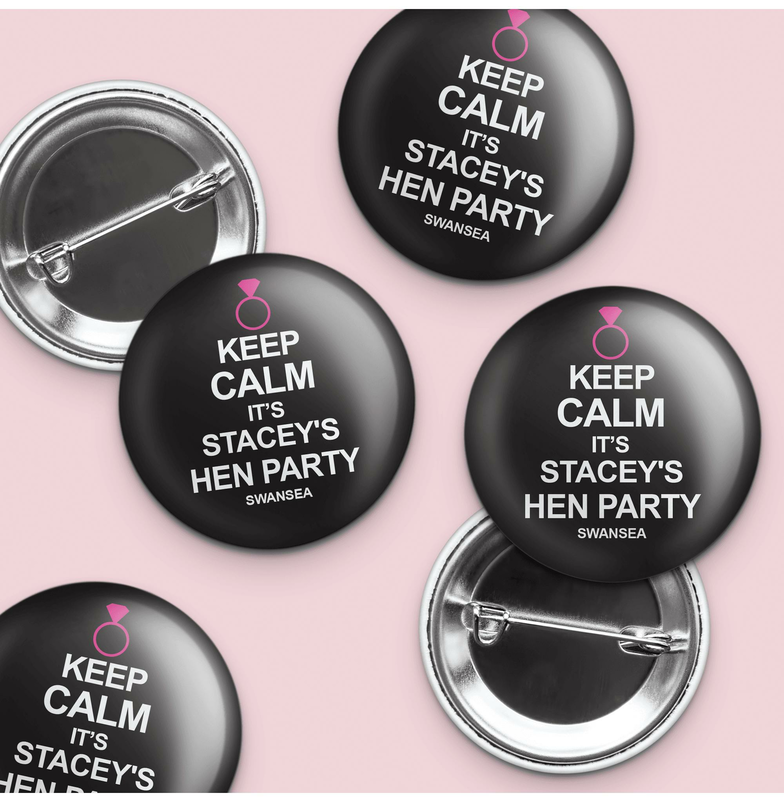 Choose these fun hen party badges with there fun "Keep Calm, it's ____'s Hen Party" message for your hen night. This fun theme had a revival when a copy of the original advert was discovered in the year 2000. This well know war message is a popular fun theme and you can easily create a hen party theme around it. Why not have a 40s theme hen party and add these keep calm personalised hen party badges and lovely floral dresses. Buy these fun hen badges today! Get FREE Economy Delivery on Orders Over £50. UK addresses only.